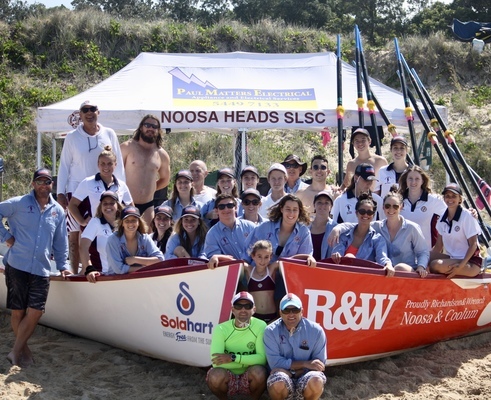 Over the Australian Day Weekend the Noosa crews were busy at two different locations. First was Maroochydore where they contested the masters divisions of the Murphy Builders Classic. In this Noosa was represented by the Condors and the Emus and this resulted in the Condors coming home with a silver medal. The other location was Manly Beach in Sydney and here four crews, the Spangled Drongoes, Scrub Turkeys and Chums (all female) and the Peacocks flew the flag for Noosa. Results saw the Chums win the ladies grade final; the u/19 girls the Turkeys finish 4th in the final and the Drongoes were eliminated in their semifinal; the Peacocks finished 5th in their final. At the 5th round of the Nutri Grain held at Surfers Noosas Lana Rogers finished in 7th place. This will place her in 4th for the big final to be held on the 23rd at Wanda. Last weekend Noosas Main Beach was yet again the center of attraction for hundreds of swimmers when the Noosa Summer Swim Annual Events were held. Surf conditions were good except a short spell of rain late Sunday morning. Under the direction of former Olympic legend Michael Klim the program of events ran smoothly and as with former years life savers from Noosa Heads and Sunshine Beach (on Sunday) provided water safety- with swimmers being covered by IRB teams and rescue boards. 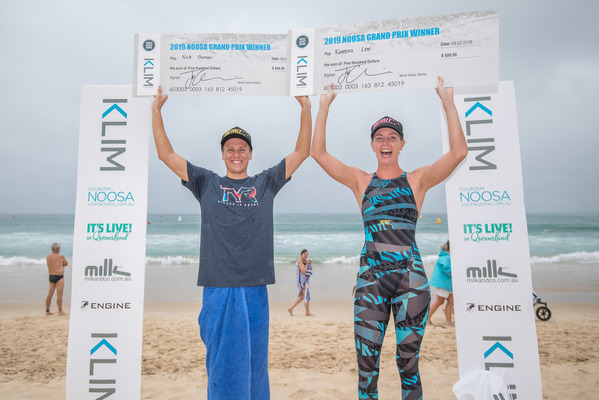 Sunday the major events the 5km swims were won by Nick Sloman (mens) and Kareena Lee (womens) both members of the Noosa Surf club.